The Grand Weekend of Taste of sbe kicked off on Saturday, with a Veuve Clicquot Rose and Whispering Angel Brunch at Cleo Third Street — a first for Los Angeles! 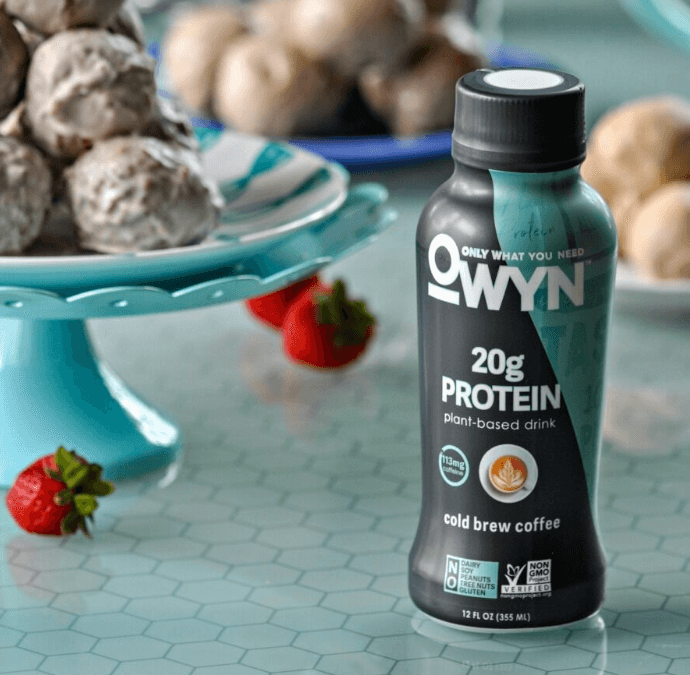 Brunch at Cleo was followed by one-of-a-kind activities and events that included a private shopping experience with Harry Winston on Rodeo Drive, a cooking class and a Farewell Brunch at Doheny Room. A percentage of proceeds from all ticket sales benefited the local Make-A-Wish Chapter where sbe will grant the wish of a vacation for a few winning families to the Bahamas for an incredible experience at the new SLS Baha Mar resort. Lincoln also escorted VIPS all weekend in their luxury fleet of vehicles. Brunch at Cleo’s is arguably a treat that everyone needs! Often times, many are faced with the question of “what to eat?” and are seemingly forced to choose from “the usuals”. 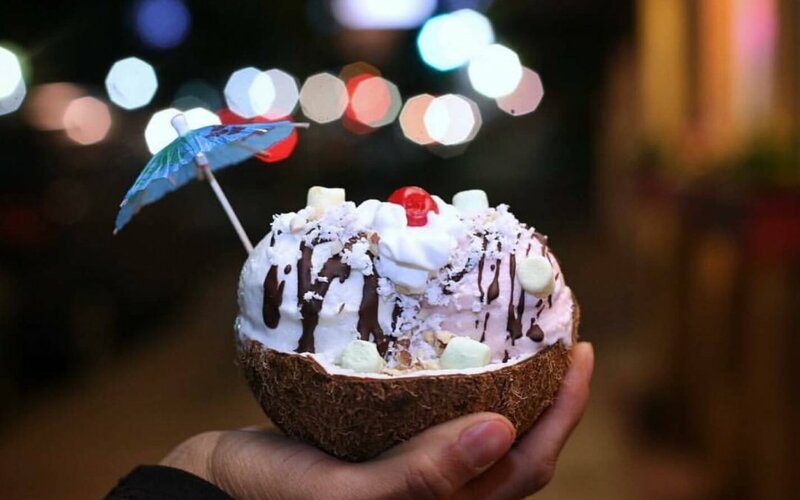 However, Cleo achieves what many restaurants have a hard time mastering, and that achievement is American favorites with a Mediterranean twist. Brunch began with a choice of numerous cocktails and Pure Leaf teas. If there was one word to describe the featured cocktails from Ketel One, that word would be “impeccable”. Ketel One offers a special type of spirit: made using the natural oils of the fruits listed in the ingredients, sugar-free (and no artificial sweeteners or flavors), no carbs, and extremely light — at just 73 calories per cocktail! 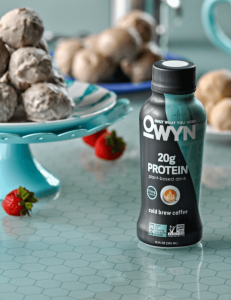 Light and refreshing are the go-to words at one sip, and the flavors of the Cucumber and Mint; Peach and Orange Blossom; and Grapefruit and Rose cocktails are comparable to drinking an icy, crisp Badoit with a hint bitters, and fruity, herbal flavors. Simply put, these cocktails taste just as good as they look, and are not your everyday spirit! After our variety of palate-awakening beverages, an assortment of mezzes were presented, including a “masabacha” style hummus made with chickpeas, cumin and lemon; babaganoush, containing smoked eggplant, sumac, and pepper; a delicious lebaneh of feta, za’atar, and extra virgin olive oil; and finally a beautifully plated watermelon and feta salad decorated with mint leaves and shaved cucumber. This appetizing assortment brought vinegary bitterness, blended smoothness, and natural sweetness all into quick succession as one taste was followed by another. For us, the authenticity of these dishes brought on vibrant memories of Italy’s countryside, just outside of Venice, where life is slower and like the dishes before us, prominent in flavor and culture. As we were pulled deeper into the ever-boldening tastes of our entrees, it was also time to welcome some familiarities. At a glance, an easily identifiable plate: 3 eggs and bacon — but with a twist. Soft, scrambled eggs and thick-cut bacon had a new happy family of twice cooked potatoes, roasted green tomatoes, and tzatziki and toast. 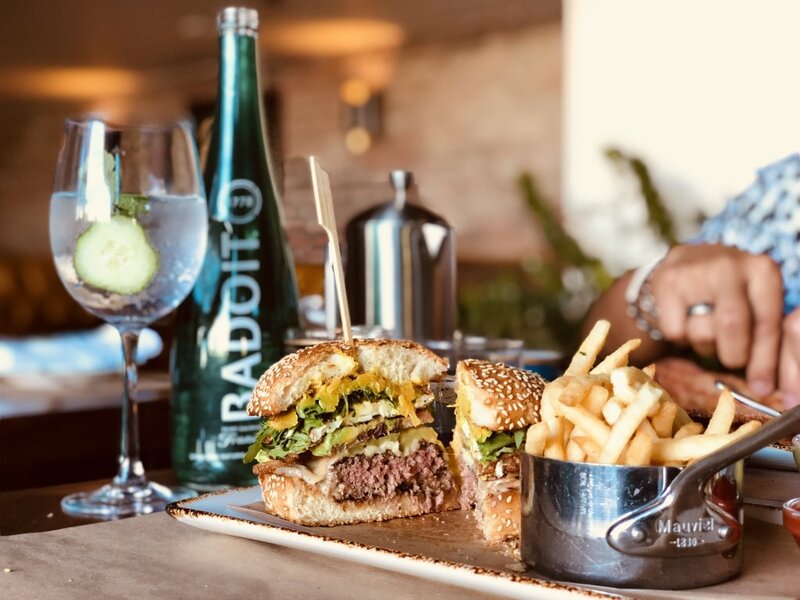 And the Wagyu Cali Burger sounding all too familiar, yet presenting a new look and taste, topped with cheddar, thick-cut bacon, avocado, tzatziki, sauerkraut, a fried egg, and a side of fries. Cleo served heaven on plates, and the menu went on to include other amazing entrees, like Red Shakshouka, Smoked Salmon Benedict, Avocado Toast Benedict, and a Quinoa Breakfast Bowl. Finally, the Chef’s Selection for dessert surprised us with baklava, panacotta, sticky taffy pudding, mandeleine cookies, pâte de fruit, crescent cookies, and melt-in-your-mouth sour cream-glazed donuts. Rudy Mancuso, Maia Mitchell, Trey Songz, Emile Hirsch, Sara Sampaio, James Kennedy, and his girlfriend, Raquel Viss — just a few big names who partied with sbe this past weekend at the Mondrian Los Angeles. Other attendees of this special weekend event included, but was not limited to, Fred Durst, Lady Victoria Harvey, Emmy nominees Kelly Jenrette and Melvin Jackson Jr.; Bianca Blanco and John Savage — along with sbe nightlife leaders Frankie Delgado, Dean May, Nick Montealegre, Josh Richmond; and sbe’s Disruptive Group COO Sebastien Silvestri. This long list of names, and more, celebrated Taste of sbe’s Grand Dinner at Skybar at Mondrian Los Angeles — one of sbe’s international award-winning venues and mainstay destinations. The evening served a purpose beyond partying, and benefitted the Make A Wish Foundation, in partnership with Rolling Stone Magazine, Lincoln Motors, Evian, Fever-Tree, and Diageo. With 100 guests in attendance at the epicurean showcase, each enjoyed 7 delicious courses courtesy of sbe’s incredible restaurant roster, including Cleo, Katsuya, Carna, Umami Burger, Diez y Seis, Makoto, SLS, and Fi’lia. With sbe’s renowned chefs on hand from all over the world, bellies were bound to be full. Chefs Martin Heierling, Katsuya Uechi, Danny Elmaleh, Makoto Okuwa, Jose Icardi, Yoshi Migita, Diego di Lao, Renata Ferraro, all were in attendance, and brought down the house with their featured courses. 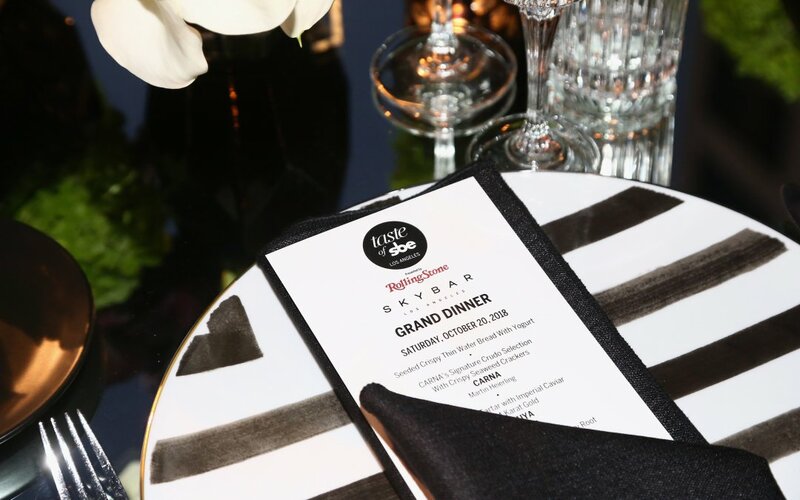 The extravagant plates included Otoro Tuna Tartar with Imperial Caviar & 24 Karat Gold, Hand Folded Tortelloni with Celery Root And Black Truffle, Wagyu Gyoza, and ‘The Frenchie’ burger by Chef Daniel Boulud. Guests at the Grand Dinner sipped on a bevy of signature cocktails courtesy of Diageo, as well as Dauo Vineyards. Chief Operating Officer of sbe’s Disruptive Group, Sebastien Silvestri; and Mike Kallhoff, President of Make-A-Wish, completed the evening with a toast for the group at the end of dinner. Following the Grand Dinner, New York Yankees outfielder Giancarlo Stanton joined the guests and headed to HYDE Sunset for an epic after party hosted by Trey Songz. Heading across the country to Miami, the second Grand Weekend runs October 25-28, starting with Celebrity Taste at SLS South Beach on Thursday evening. Guests can expect participation from The Bazaar by José Andrés, Leynia, Katsuya, Fi’lia by Michael Schwartz, Makoto, and K Ramen.Burger.Beer. Saturday’s temptations include an interactive Sushi Making Class and lunch at Katsuya South Beach followed by a Grand Dinner inDelano’s iconic lobby complete with special live performances. The weekend concludes in style with a Farewell Brunch at Diez y Seis. with an after-party at Bond Nightclub and a special guest performance. On Saturday, guests will experience a Grand Dinner White Party, held on the private Baha Mar Pier. A Farewell Brunch at Cleo Mediterráneo on Sunday brings the memorable weekend, and three-weekend event to a close. Individual tickets are available for each event throughout all three weekends, ranging from $55 to $500, as well as all-access packages. The weekends are presented by Rolling Stone, Heineken, Lincoln, Fever Tree, Diageo, Moet Hennessy, The Patron Company (Bahamas only), Pepsi and Red Bull. For further information visit www.sbe.com/tasteofsbe and follow #tasteofsbe, #worldofsbe and #thisisbeyond to unlock your passport for the finest experiences that sbe has to offer. For National Men’s Grooming Day, it was important to me that I find a grooming service worthy of publication. It had to be memorable, it had to be satisfying, it had to be “Golden”. I also threw in a convenience factor as I wanted to be sure it was in the San Fernando Valley being that I reside in North Hollywood. Thankfully, I didn’t have to travel too far as I was directed over to GoldenHour in Sherman Oaks. 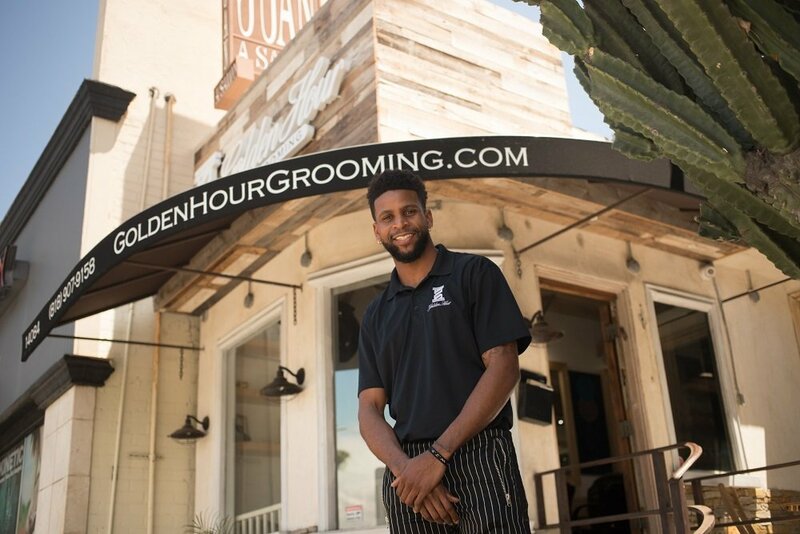 Owned and operated by young entrepreneur, Jalon Webster, GoldenHour takes pride in being the Valley’s best men’s grooming experience available because they hold themselves up to the highest standards in town. 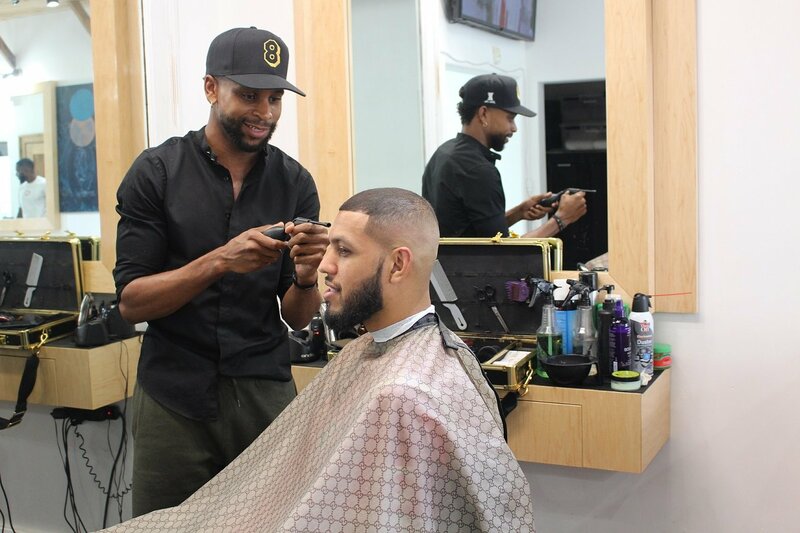 It’s no wonder why GoldenHour has been able to establish itself as prime location for male grooming. 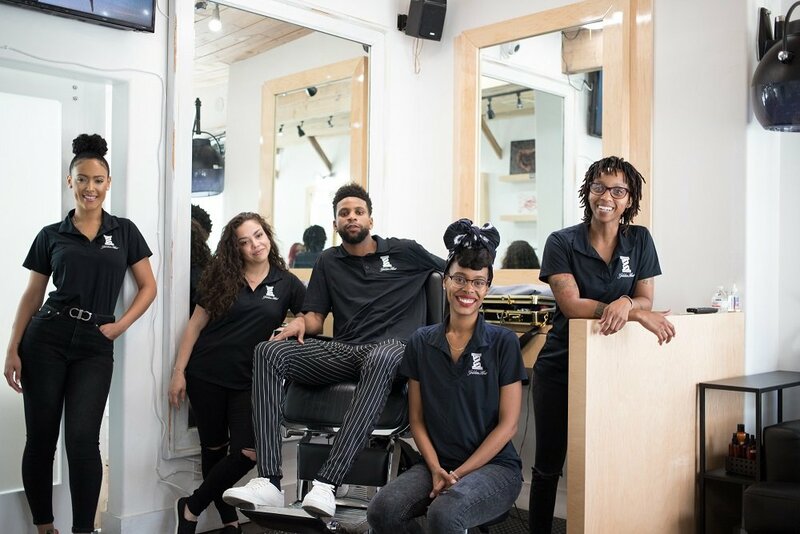 Their services have garnered a celebrity clientele that includes the likes of Sarunas Jackson, Shannon Sharpe, Andre Berto, Donovan Carter, Omar Bolden, Duke Ihenacho, and more. GoldenHour is located at 14084 Ventura Blvd., Sherman Oaks, CA 91423 and accepts appointments via their booking site HERE. 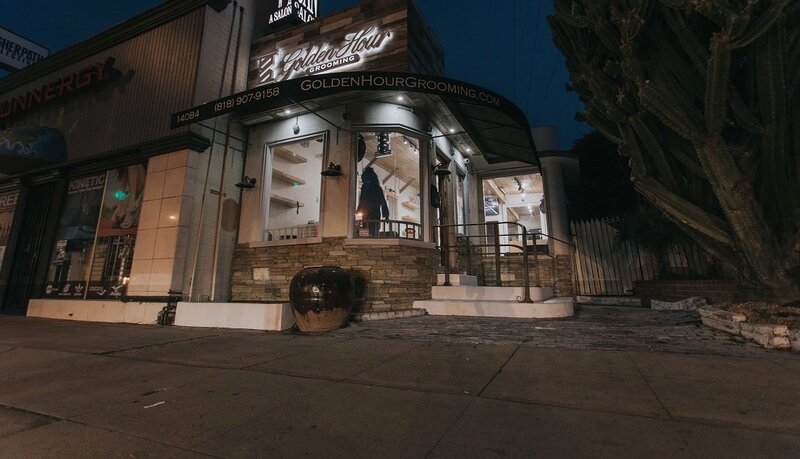 Make sure to follow them on Instagram as well at @goldenhourgrooming. I’m still on a very specific search for the best products and regimens relating to hair thinning/loss prevention. 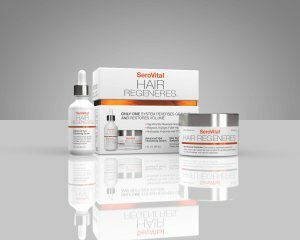 Within my own personal circles, I’ve come across other men my age struggling with the same concerns about hair loss, so I felt like I could find something of value in my search not only for myself, but for my peers and the thousands of people across America looking for a solution that works best for them. 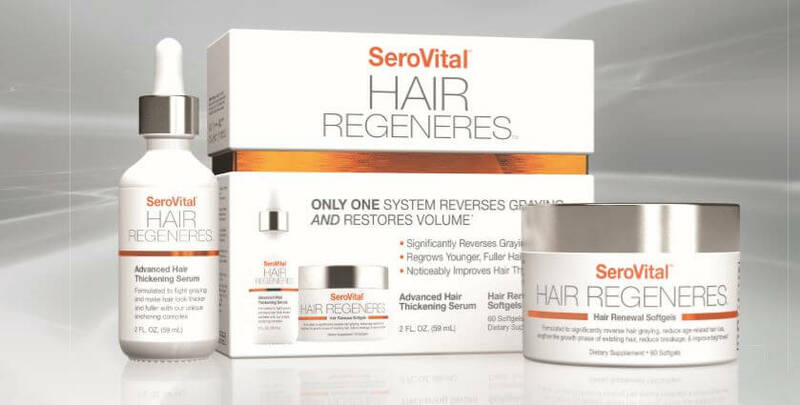 Launching this Summer is SeroVital Hair Regeneres, a combination treatment of supplemental capsules through their Hair & Scalp Revitalizing Corrector and the topical Advanced Hair Thickening Serum comprising of SeroVital’s trademarked proprietary compound called Chromaviv. The two-step system features a dietary ingredient that delivers melanin to the hair roots and a topical serum that impacts the scalp environment with external bioactives. I’ll be undergoing a trial using this product to see just how much my personal hair thinning decreases. 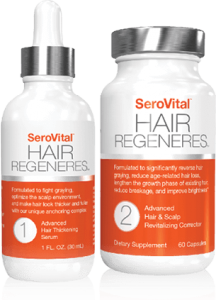 I’m personally very excited to see any results and share SeroVital Hair Regeneres with our readers as a solution.